Sew Fantastic: So much to do ....So little time to do it! So much to do ....So little time to do it! So the other morning this was my start. 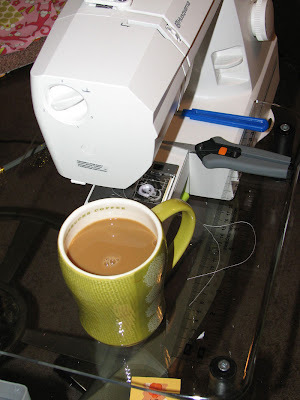 6am, hot coffee, cold sewing machine, quiet house,... well ok for about 10 minutes maybe. 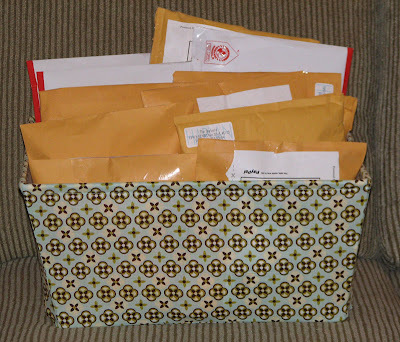 I woke up to quite a few Etsy orders all at once. So my time has been trying to get some sewing done to fill up my store again. I have so many cool fabrics that I want to create with, only no time to create. What a bummer huh. So I got about half of them ready to go out, I shall work on the other half tomorrow. That way next weeks focus is all new inventory. It makes me so very happy to hear from my buyers on how much they love my items. It bring a certain calming to me, I can't explain it. To see a pattern made into a product, then played with by children that I made, warms my heart. You wanna know what else warms my heart? This pretty little girl does, and tomorrow mommie made a little time for the park! So I am sorry for disapearing for a bit, I need to catch up on checking out all your blogs, leaving some love, and working on my swap. What's everyone else been up to?? Summer is coming you know. Did you sign up for the giveaway yet??? Scroll down and do it!! What a precious little one! Those are very cute pants. Those pants are adorable. Love them! Such a busy ladie! Love the cute ruffle pants. Wish I had a little one to sew for. 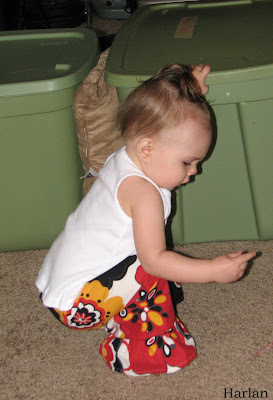 Those ruffle pants are so cute! !